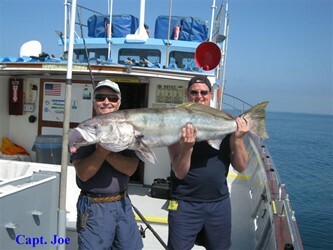 Born on New York’s beautiful Long Island, Capt Joe fell in love with the sea at the age of two, when he caught his first fish. As an Engineer Officer in the U.S. Marine Corps, he was stationed at Camp Pendleton and quickly discovered the wonders of the blue Pacific. After several years in the military, he returned to college to study counseling psychology; however, the call of the sea was always tugging at his soul and he finally decided to make his livelihood from the sea. He continued his education to become a ship’s captain and qualified for a U.S. Coast Guard’s Masters license in 1977. Just five years later, he had saved enough money to buy a boat and start his own maritime charter service. The MV Sea Star, became both his boat and his “office”, where he continues to this day as the owner/operator. The Oceanside Sea Center brings together Captain Joe Cacciola of Sea Star Charters and Captain Ernie Prieto of Chubasco Sportfishing to develop a new landing experience in Oceanside Harbor. The landing will continue to offer traditional open party sportfishing trips with an emphasis on customer service, community involvement and the consistency you deserve. Find out more at http://www.oceansideseacenter.com. * We have recently been doing maintenance on our Bay Elevator and due to some unforeseen issues it will not be up and running by March 6th. An option I can offer you and your group is to take the Mission side elevators up to the 4th floor, walk down the hallway and up 1 flight of stairs to reach the 5th floor Bay entrance. You would have to do the same thing when leaving for the evening as well. We would of course provide signage for your guests to avoid confusion.